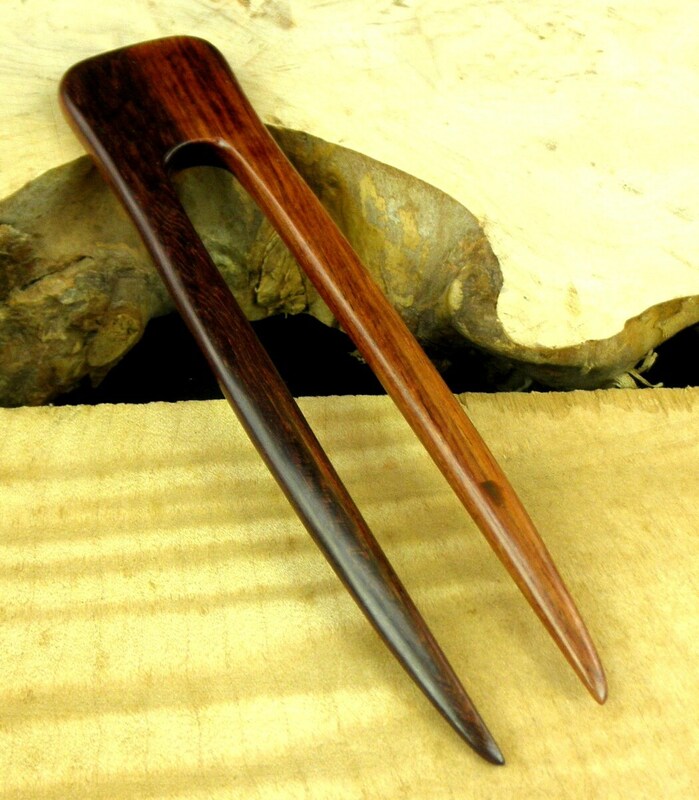 Laos Rosewood 6 Inch Two Prong Straight Hair Fork Deep Red with Dark Streaked Grain 1 1/4" wide FPL 4 1/2"
The 5 7/8 Inch Laos Rosewood Hair Fork is Straight and can be used from several angles. 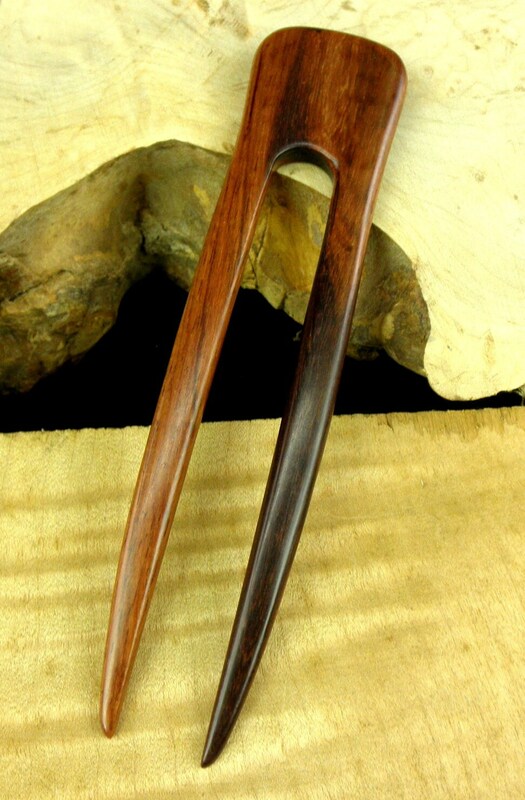 This Straight Laos Rosewood Hair Fork is a "Rustic Heavy Duty " hair fork I have added to my line for the customer with Thick Hair that needs a super strong Hair Fork with great holding power. . 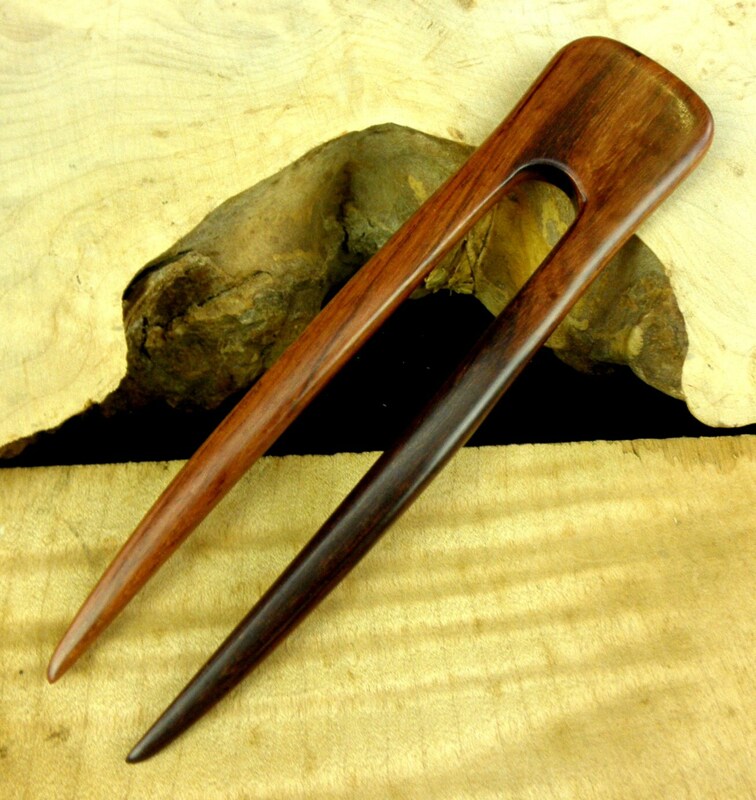 It is 1 1/4 " wide; 5 7/8" long and 1/4" thick. 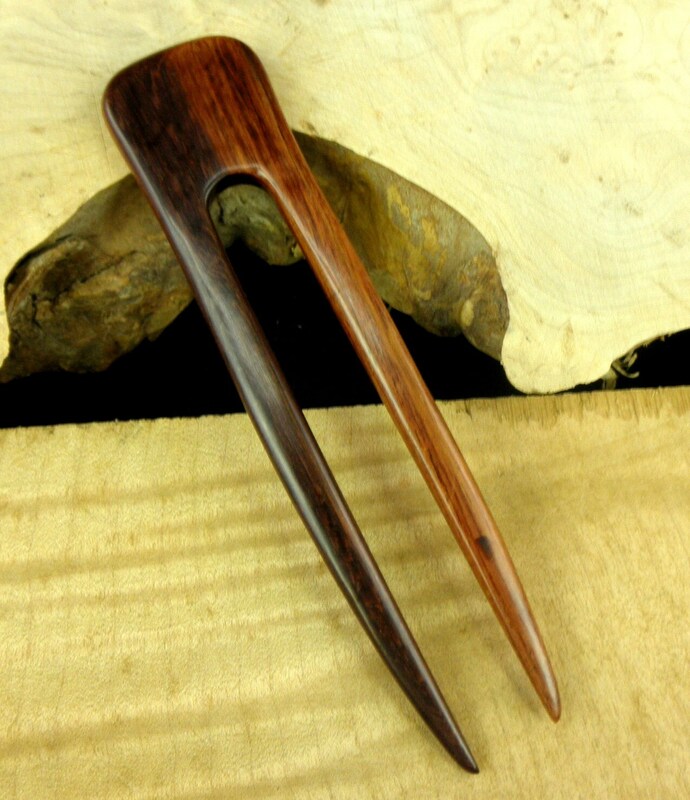 The pictures do not do justice to this Hair Fork. 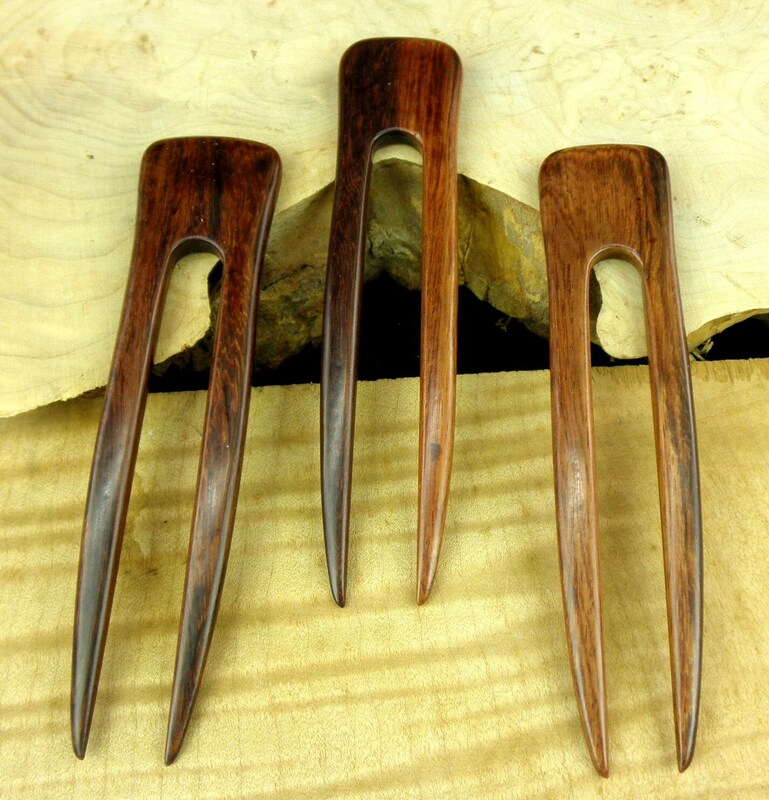 The Functional Prong Length (FPL) is 4.5" for this 2-Prong Hair Fork and varies within 1/4" from piece to piece. Beautiful and sturdy. Works great. Quick delivery. This is absolutely beautiful and well-made. Thank you!